The contract will initially involve several companies within the Montgomery Transport Group including Montgomery Transport, Montgomery Distribution, Montgomery Tank Services and Montgomery Refrigeration. PPK tyre contracts can bring many benefits to the Haulage industry. The peace of mind that there will be no unexpected spikes in tyre costs across the term of the contract is a huge benefit for any haulier running a medium to large fleet, however, the benefits don’t just stop there. In addition to the cost of tyre purchase, the loss of productivity from a vehicle being off the road due to tyre malfunction can have a detrimental effect on the overall profitability of a load. 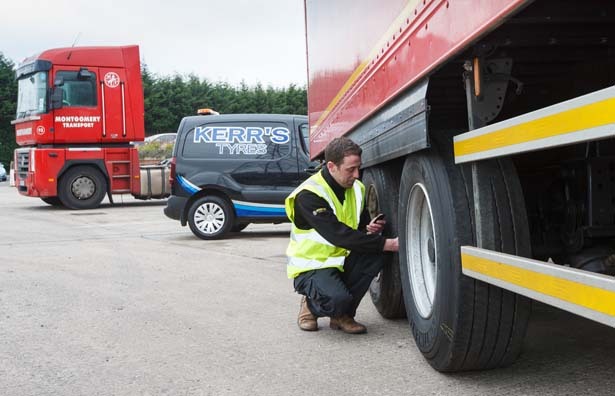 The introduction of preventative maintenance by Kerr’s Tyres, as part of the PPK contract, will proactively manage Montgomery’s tyre stock across the fleet and help to drive down the number of breakdowns, reduce the health & safety implications of a driver at the side of a road, increase driver productivity and improve overall load profitability.